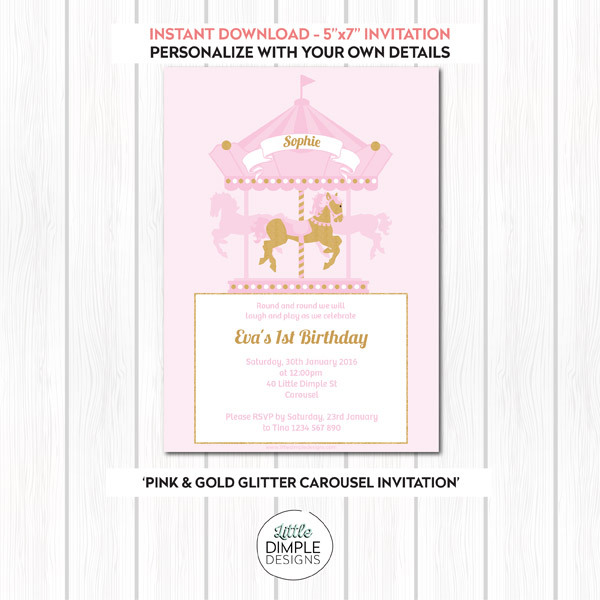 You will receive one PDF formatted to fit 2 invitations on a page. 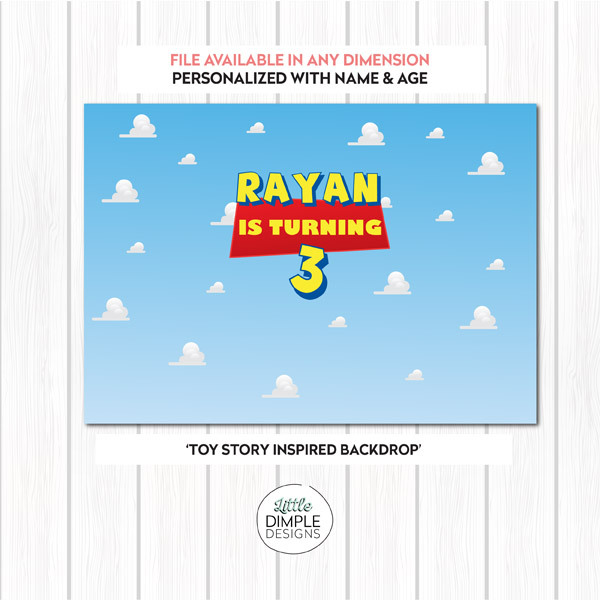 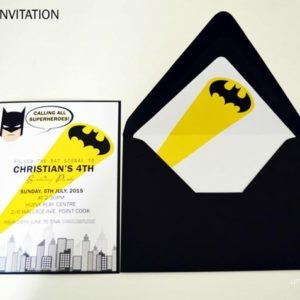 Each invitation measure 5″ x 7″. 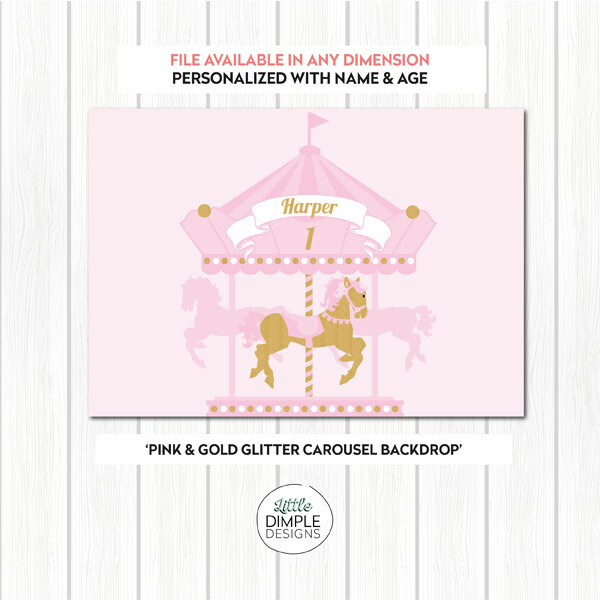 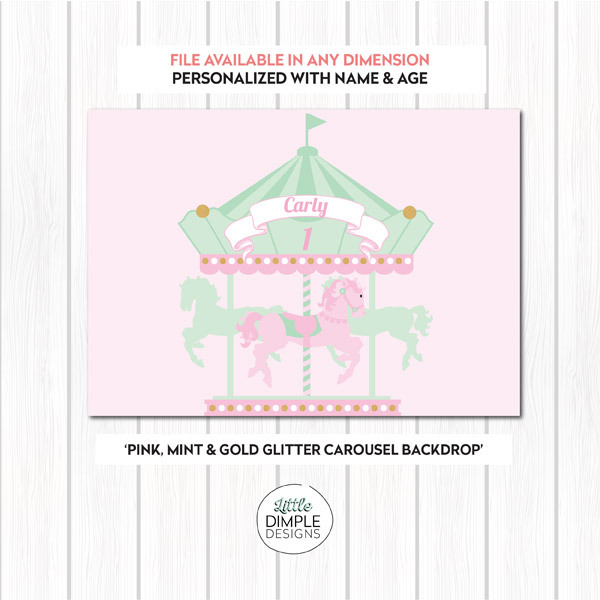 Carousel Theme Printable Invitation Template in Pink and Gold Glitter for a little Girl’s Carousel Birthday Party available for INSTANT DOWNLOAD upon purchase!